Every place name has got meaning and the history speaks for the same, either for the origin of the name, or importance of the place. And Warangal has earned a name for its gigantic monuments which includes impressive fortress, and four massive stone gateways. 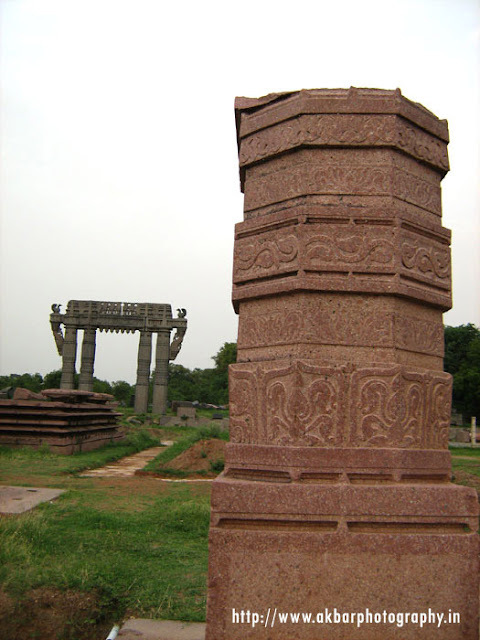 Basically, Warangal was the capital of Hindu Shaivite Kingdom between 12th to 14th centuries under the Kakatiya dynasty. Formerly, it was called “Orukallu” where “Oru “ means one and “kallu” means stone. As the entire city was carved of a single stone giving its original name of Orukallu. And as the time passed the name “Orukallu” became Orugallu. The city was also called “Ekasila Nagaram”. Marco Polo the famous traveler cited cultural and administrative excellence of Kakatiyas in his book. 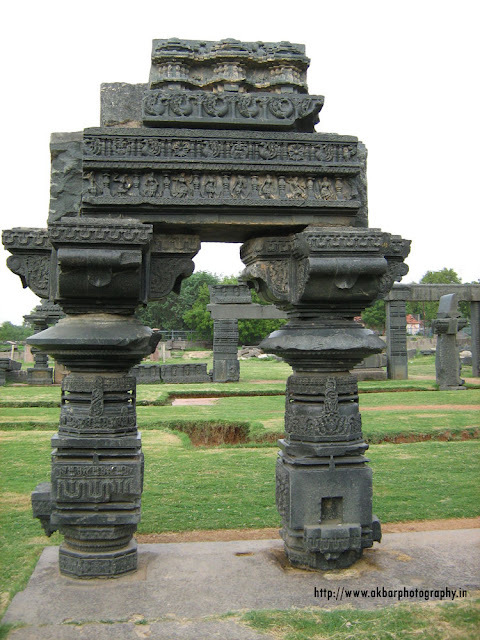 The most distinguished rulers of Warangal are Ganapathi Deva, Prataprudra, and Rani(Queen) Rudrama Devi. After the downfall of Pratarudra Musunri Nayaks united seventy two Nayak chieftains and conquered Warangal from Delhi sultanate and ruled for fifty years. The envy and mutual rivalry within Nayaks led to downfall in 1370 and success of Bahmanis. Bahmani Sultanate broke up into several smaller sultanates of which Golconda sultanate ruled Warangal. 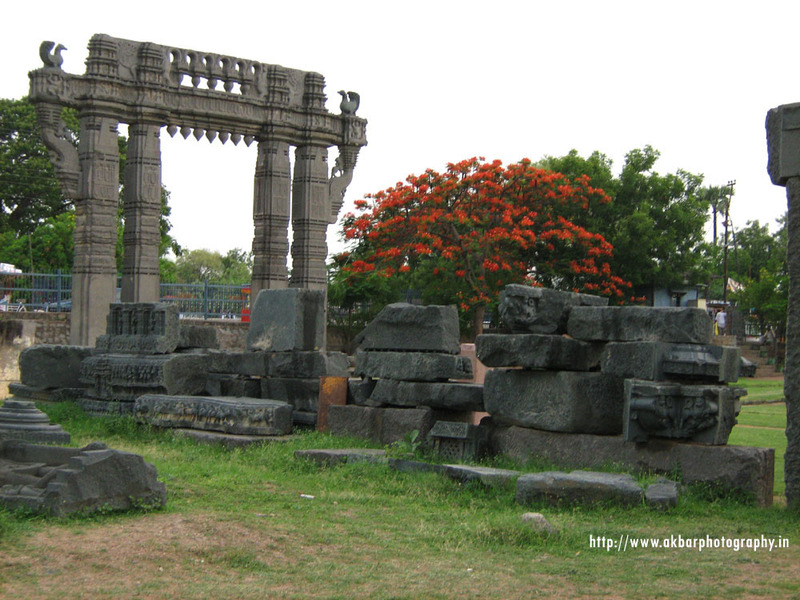 A temple dedicated to kakatamma goddess still exists in Warangal, and kakatipura could be the another name for Warangal itself. The Thousand Pillar Temple or Veyyi Stambala Gudi a symbol of Culture, is extremely oldest temple of South India built by Kakatiyas of Chalukya Dynasty. It stands out to be a masterpiece and achieved major heights in terms of Architecture skills by ancient Kakatyiya Vishwakarma sthapathis. It is believed that the Thousand Pillar temple was built by King Rurda Deva in 1163 A.D. This is a specimen of Kakatiyan style of architecture of the 12th Century. There are one thousand pillars in the temple and, but none of the pillar objects any person at any point of the temple to see the god. 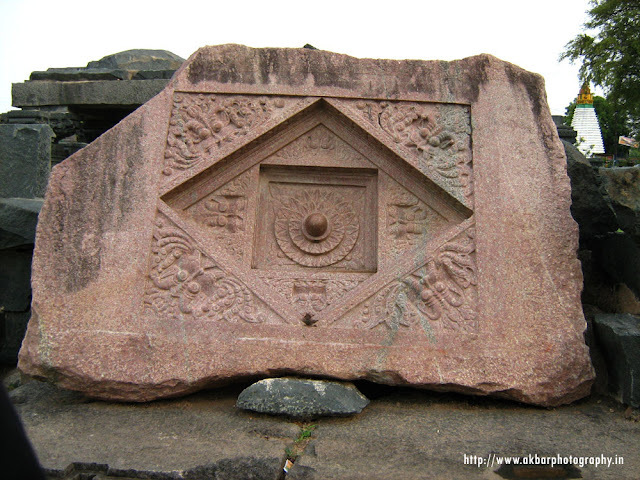 The ruin of this temple still lies near Hanamkonda –Warangal highway about 150 km from Hyderabad. The importance of the temple is that it is star shaped with three shrines dedicated to Rudradeva (Shiva) Vishnu and Surya (Sun god). With these three shrines inside the temple called Trikutalayam. Interestingly the third deity is not Brahma who is a part of Trinty (trimurtulu/trimurti) as kakatiyas worshiped Lord Shiv and Surya. There is small lingam shrines though-out the vast garden which surrounds the Thousand Pillar temple. On the Fourth side the Nandi (bull) was carved out of a black basalt monolith rock. Interestingly the Nandi (bull) faces east and other shrines faces South and West. As most of the temples face east the 1000 Pillar temple faces south. 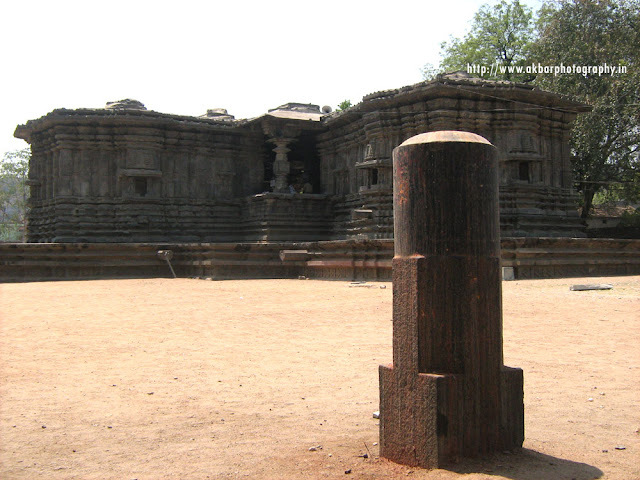 As the Kakatiyas worshippers of Shiva wanted the sunrays directly fall on the Shiva lingam. 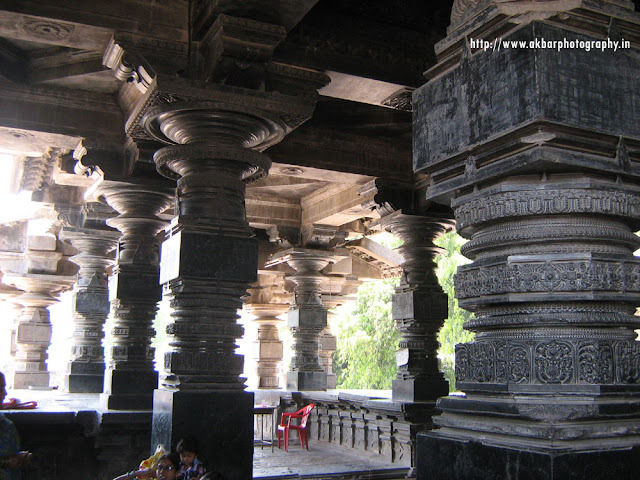 Between these four is the Natyamandiram (Dancing hall), This Dancing hall is supported by 4 stunning huge pillars. 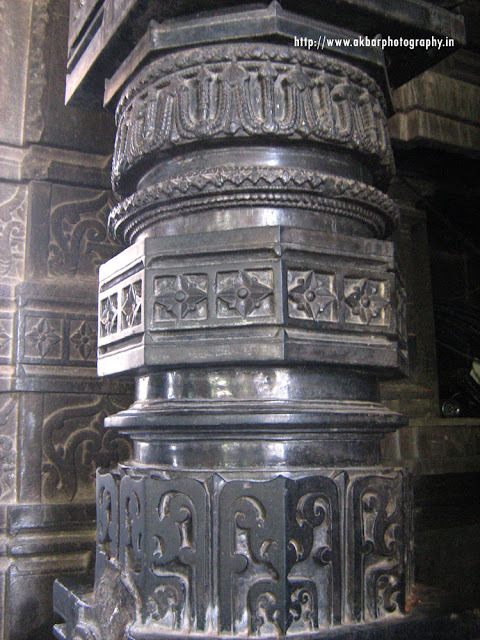 These pillars had multiple designs which measures from 2 centimeter to 30 centimeter on the circular pillar. When the archeological survey of India dismantled the smaller pillars of the mandapam for reconstruction they found 30 feet sand and three wells below it. 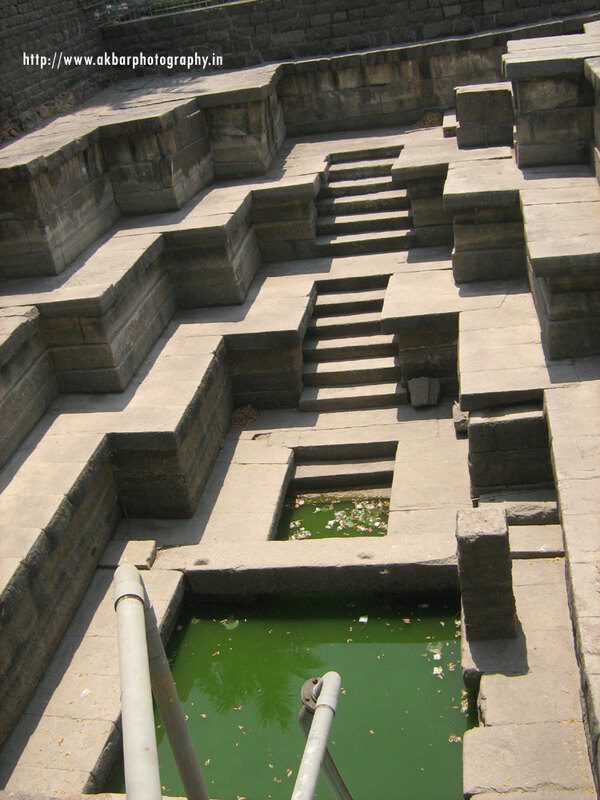 Which shows the architectural prowess of the Kakatiyas? 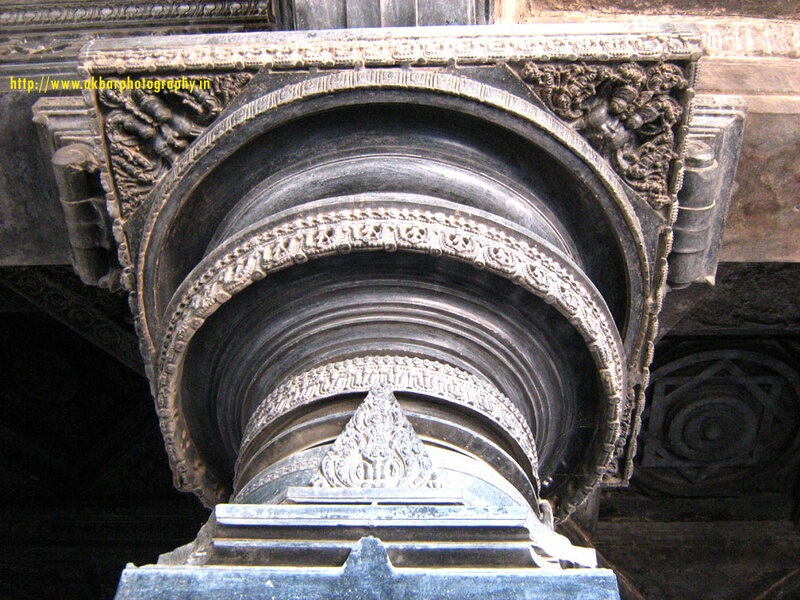 Further to richly carved 1000 pillars where they used designs of jewelry with multiple designs like chains, bangles, crowns, rings, Kalisam of which is Kakatiya Dynasity symbol. 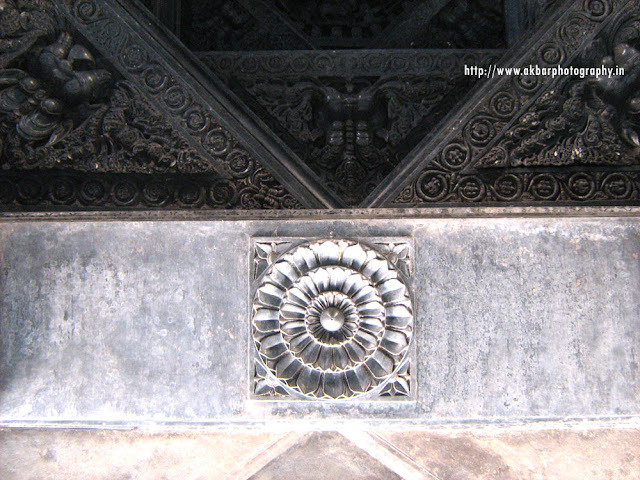 Flowers are also so nicely carved that the gaps can be seen between the petals. 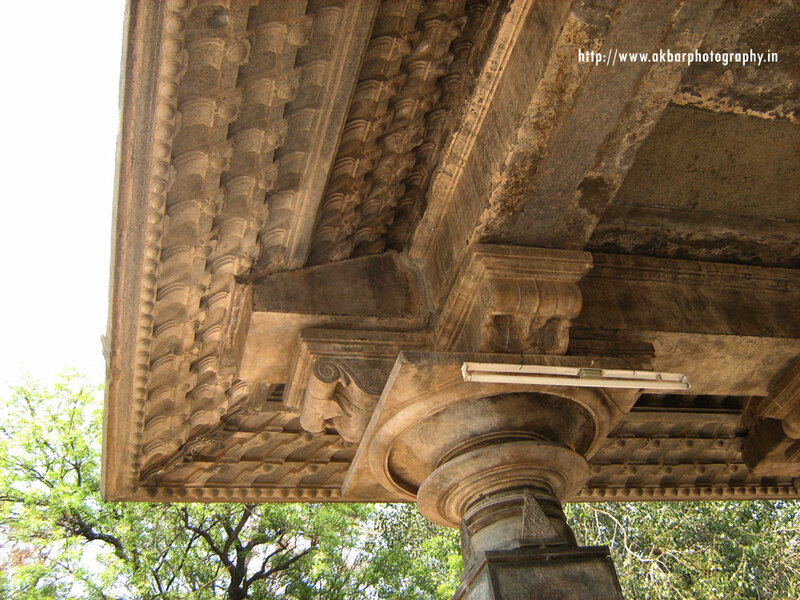 When clearly observed there are tiny holes in the sculpture of the pillar that a tiny thin stick (broom stick) can be inserted which passes with ease. This speaks the fine sculptures of Kakatiya’s Dynasty. Warangal Fort Which is situated 12Kms from Hanamkonda in the city of warangal, and it is 150 Kms North East from Hyderabad. 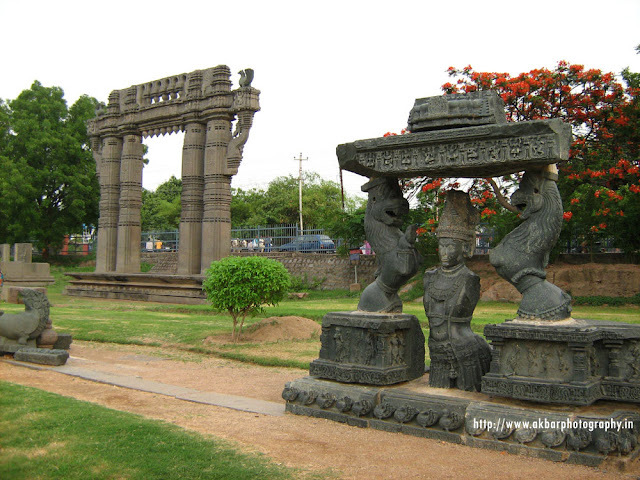 Warangal Fort is in Southern Warangal. Warangal fort now in ruins and close to Ekasila hill rocks. 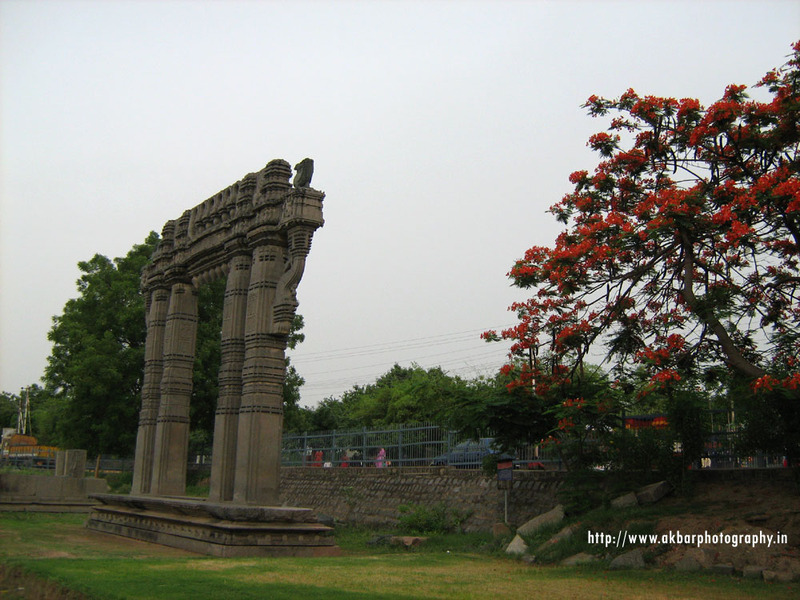 The architectural splendor of Warangal Fort speaks of its splendid past. Besides the history it has magnificent architectural reputation which includes impressive gateways, tall elegant towers each with a height of 50Feet. Which has been cut from a single rock.The massive gateways are called “Keerthi Thoranam. The three layers ensure the protection and center power. Part of the ruins consists of delicate sculpture and stone work, shapes and designs which portrays animals like lions and birds like swans. It was during 12th and 13th century saw the rise of Kakatiyas. They are the first feudal tenure of the western Chalukyas of Kalyani ruling over a small territory near Warangal. Prola II younger brother of Betaraja II who belonged to Kakatiya Dynasty ruled from 1110 AD to 1158 AD extended till south and declared his independence. Rudradeva also known as Prataprudra II (1158 to 1195AD) the eldest son of Prola II succeeded and pushed the kingdom to the north up to Godavari Delta. He built a Fort in Warangal to make it as a second capital and faced the invasions of Yadavas of Devagiri. Mahadeva the younger brother Rudradeva ascended the throne for short span of three years (1196-1198 CE). He led his army against the Yadavas of Devagiri to take revenge the death of Rudradeva and release of his son Ganapathi and in the battle he lost his life. After the death of Mahadeva , Racherla Rudra saved the kingdom from breaking . Ganapati Deva was released by Jaitrapala owing to political pressure and save himself, fearing an attack. In A.D.1199, Ganapati succeeded and his reign lasted for 20 years he convinced the whole telugu speaking people from Karimnagar and Anakapalle in the north to Ongole to South. He handed over the administration of the kindom to his Daughter Rudramadevi in 1262 CE and kept himself away from the administration of the kingdom. He survived till 1269 AD. After the death of Rdurmadevi in 1289 CE in the battle against Ambadeva the Kayastha chief Praprudra II the grandson of Rudrama ascended the throne in 1290CE, but he has to fight battles throughout his reign against internal rebels and external foes. 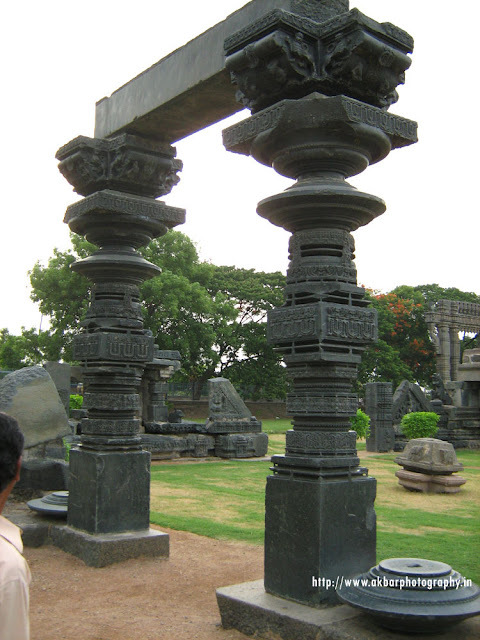 Warangal Fort can be visited throughout the year. But, the best part is that if you visit during monsoon or winter i.e., from July to December to avoid the scorching sun. 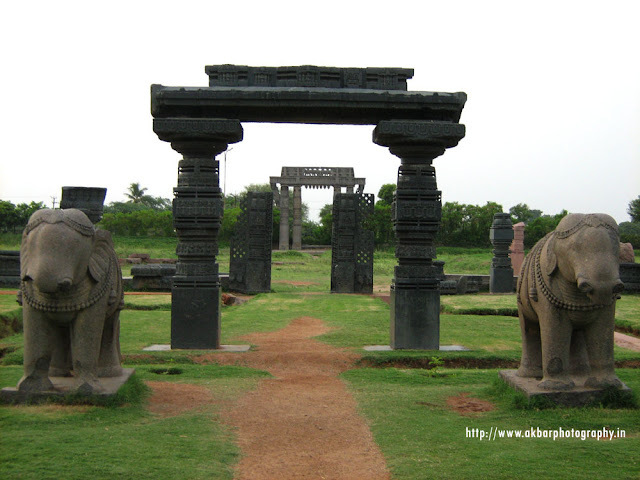 Eturnagaram is a village and a mandal in Warangal District. Considered as the most beautiful place for its lush green surroundings and deep forest. Eturnagaram wild life sanctuary is the oldest sanctuaries in Andhra Pradesh, which makes Eturnagaram more special in its own way. Dayyam Vagu which is the perennial water resource in Etunagaram Wildlife Scantuary. This almost divides the wildlife sanctuary into two halves. The Eturnagaram Sanctuary is also rich in fauna. The region falls in the hot dry deciduous type of vegetation. The sanctuary is thus rich in the growth of teak, bamboo and other trees like madhuca and terminalia. The best time to visit the region is from October to April. A visit to the Eturnagaram Sanctuary will give the visitors a quick look of the wildlife of Andhra Pradesh. Pakhal wild life sanctuary which was established in the year 1952 and is nearly 50 km from Warangal, and nearly 112 km from Hyderabad. It has beautiful landscapes spreading over 860 km with splendid atmosphere. This sanctuary has been named after the man made lake Pakhal lake, running beside it. 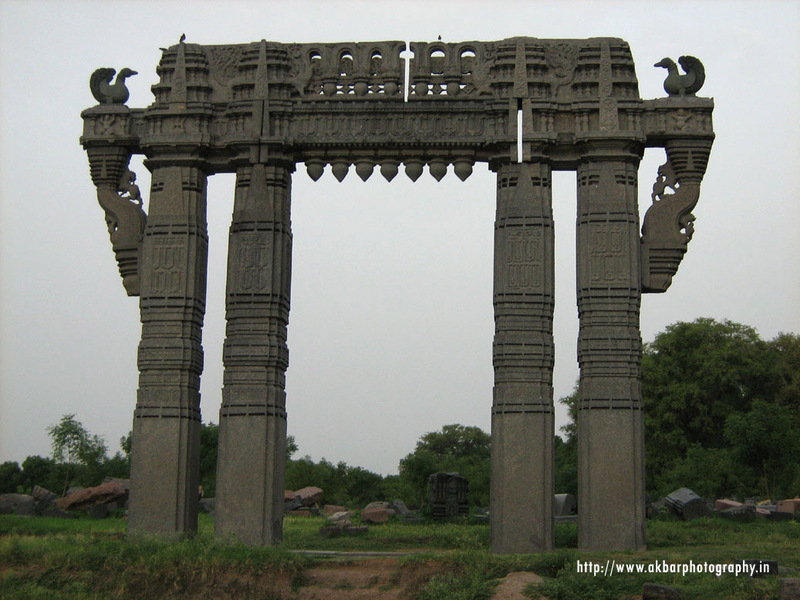 It is believed that Pakhal lake has been constructed during 1213 AD by Ganapathi Deva the Kakatiyan Ruler. This runs through the middle of the forest lands and valleys spread over 30km which is soothing to the eyes and to enjoy the pleasant atmosphere. Pakhal wildlife sanctuary is home for many species of wildlife and plants. This sanctuary is rich in its wildlife and natural beauty with good blend of flora and fauna. Pakhal wildlife sanctuary is a sought-after tourist spot because of its rich in wildlife and dense landscapes. It’s so rich in wildlife that one can spot a tiger, leopard or bear and herd of deer roaming freely. This Pakhal wildlife sanctuary harboring wild life and the most important part of this Wildlife sanctuary is large number of migratory birds that come in the breeding season. This wild life is harbored with mammals like panthers, hyenas, wolves, wild dogs, jackals, sloth bear, spotted deer, four horned antelope, black buck, nilgai, porcupine, mountain gazelle, wild boar, spotted deer, langur, reptiles like python, cobra, common krait, monitor lizard and crocodile. The forest area is covered by dry deciduous plant life scattered at few places with evergreen vegetation. The evergreen vegetation species include Aegele marmelos and mallotus philippensis. Among the deciduous vegetation include Adina cordifolia, Bombax ceiba, Bridelia retusa etc. The forest ground is covered with shrubs and dense bushes at some places. November to May is the best time to have the glimpse of this beautiful Wildwife Santuary. Ramappa Temple or Ramalingeshwara Temple located 77 km from Warangal and 157 km from Hyderabad. 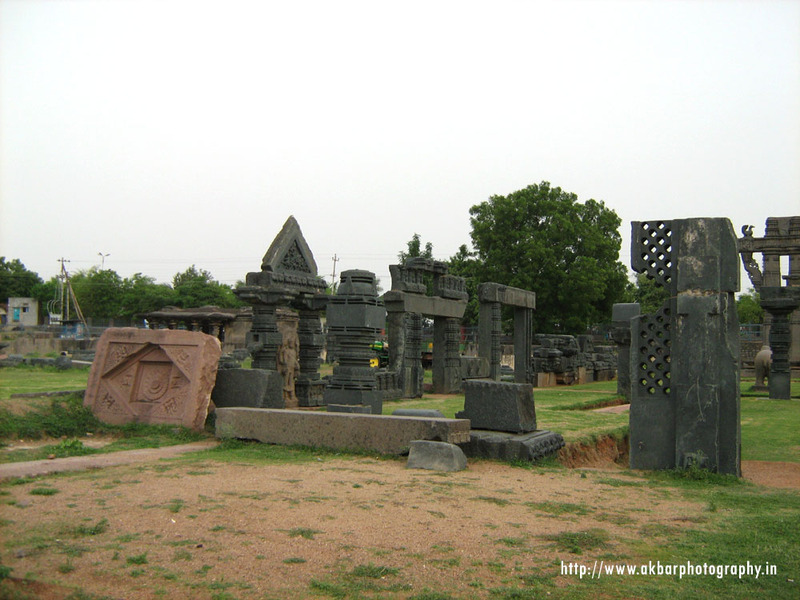 This temple lies in a valley at Palampet village it is the ancient capital of Kakatiya. 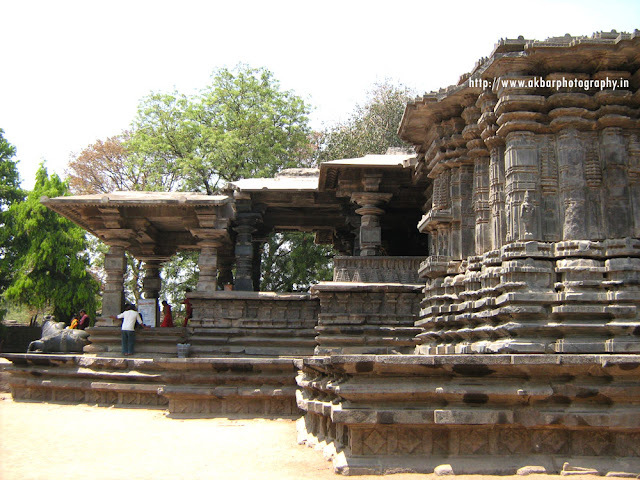 Ramappa temple stands as a remarkable testimony of Kakatiyan architecture from the time it was built. History says that it took 40 years to build this temple and named after the sculptor Ramappa and perhaps it is the only temple in India to be named after the sculptor who built after its presiding deity Ramalingeshwara an accent to Shiva. 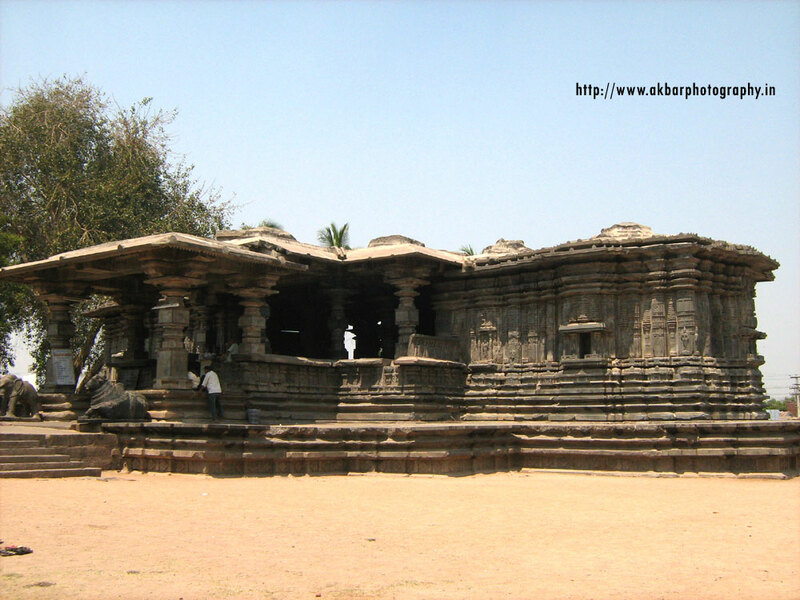 Ramappa temple has a name for its ancient engineering marvel of the 13 century AD Ramappa tank. It is a well-conceived tank where a 2000 ft long earth dam connects a semi circular chain of hills to form a lake. 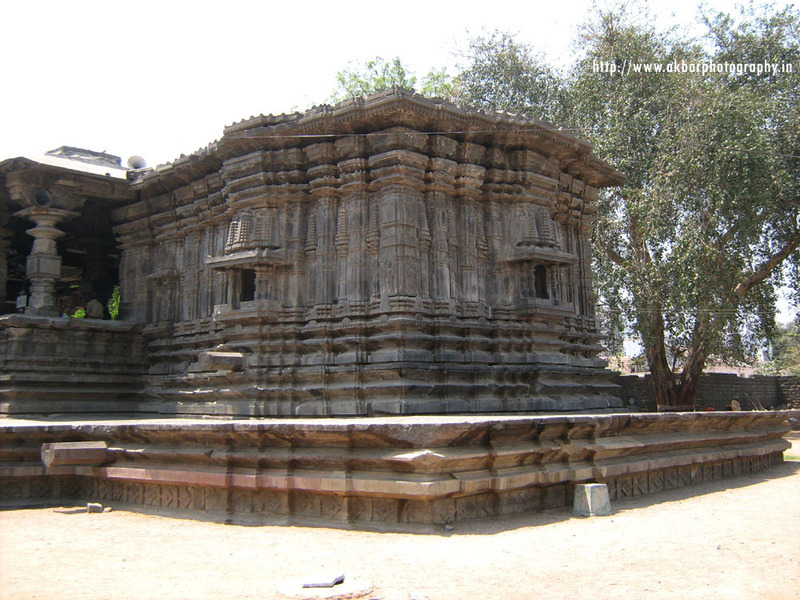 Ramappa temple was built under the patronage of king Ganapathi Deva by his chief commander Rudra Samani at Ranakude in the province of Atakuru. This temple has been described as “brightest star galaxy” of the medieval period. 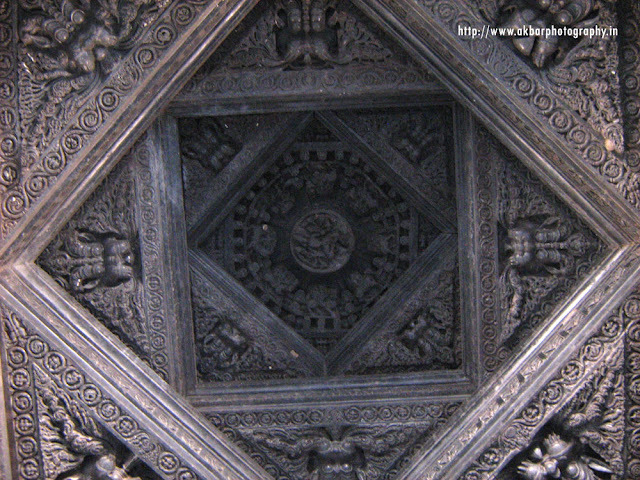 The temple was built on the classical pattern of being lifted above 6 feet on a star shaped platform. This platform connects the entrance hall, dance hall and the main sanctum. There are nearly 32 pillars with rich carvings and even you can find the many sculptors of warrior gods on the roof of the temple. To the left side of the shrine there is a pillar which generates music which can play primary notes. On top of the pillar beautifully carved drummers in dancing postures. The Astonishing point of this temple is that the bricks are so light that it floats on water yet it survived the numerous wars, invasions and natural calamites and stood intact. 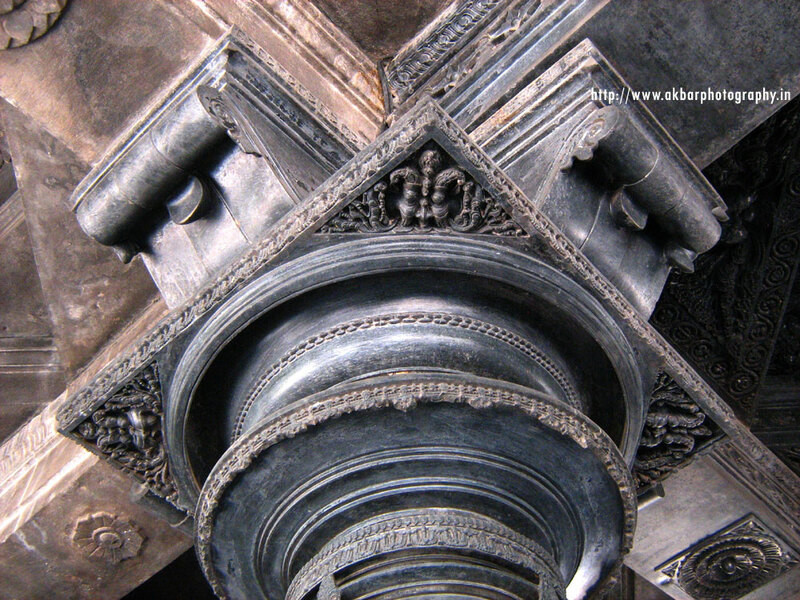 The entrance of the Temple is ruined nandi mandapam , with an imposing 9 feet nandi which still in intact. The enormous nandi withing, facing the shrine remains in good condition. 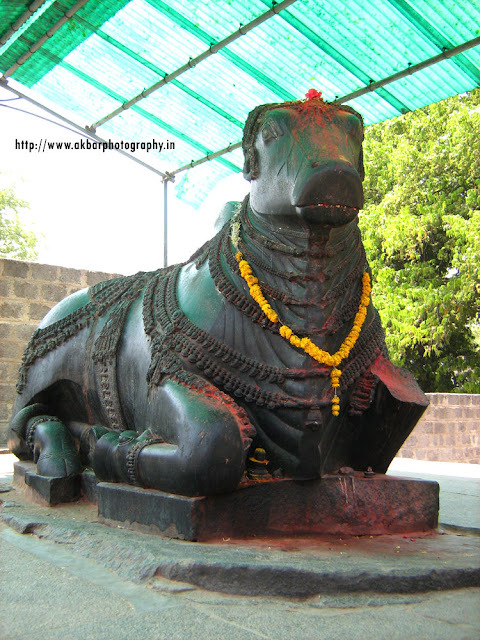 In most of the temple the nandi was straight and but in the temples built by the Kakatiyas the nandi is in alert position and waiting for the order of lord shiva. This temple was built on 5 acres of land and 20 acres of land was developed by the greenery around the temple. 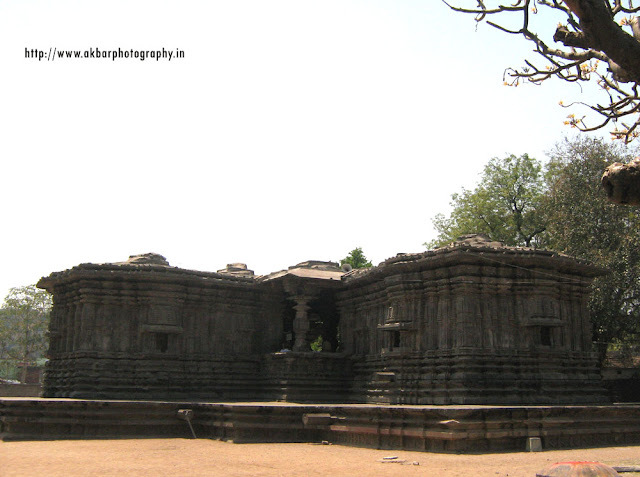 The sanctum facing east surrounded with Nagara shikharas in an alternating fashion. The additional entrance from the north which leads to Navaranga mandapam in front of the sanctum. 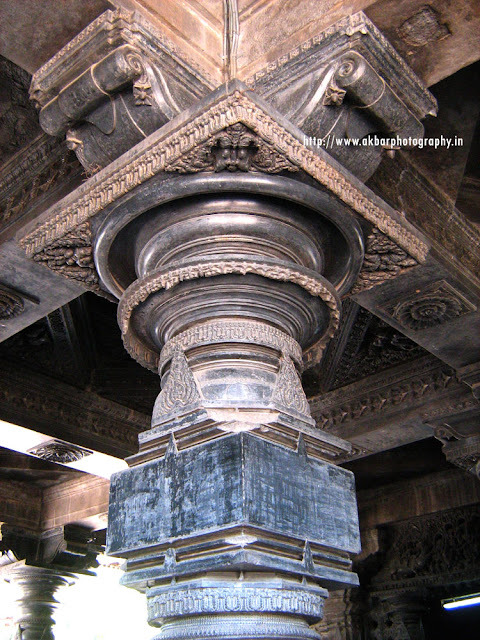 The ceiling is divided into compartments by columns from the bottom and is carved with intricate patterns. 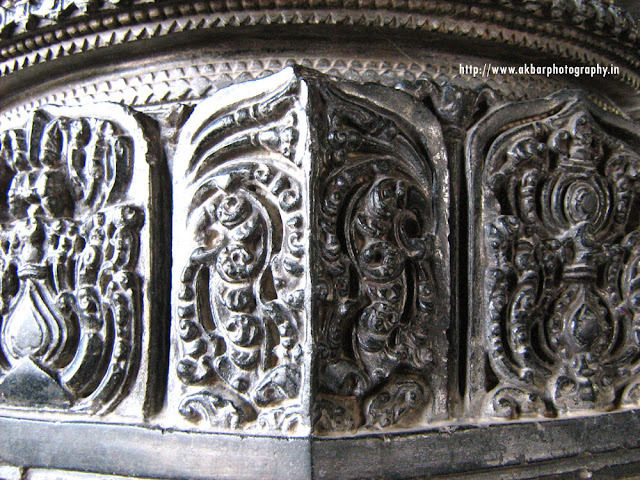 There is a richness of carvings in this temple on dark rock with a smooth finish. The mythological stories and puranas has been beautifully portrayed stories. The temple signifies many sides of Shiva, and his royal residence, the Himalaya Mountains. The temple is built upon the classical pattern of being first raised upon a platform that separates its sacred functions from the taint of the everyday. The platform lifts it above the normal, transcends the profane, declaring with uncompromising firmness that it is a place for un-common activities dedicated to a god. Maha Shiva Ratri is celebrated for a period of three days in this temple Many of the smaller structures are neglected and are in ruins in the Ramappa temple. There were even instances of people carrying away the bricks, to be proudly exhibited that they can float on water, before the Archeological Survey of India (ASI) took charge of it. The main entrance gate in the outer wall of the temple is ruined, so one can enter only through a small west gate. 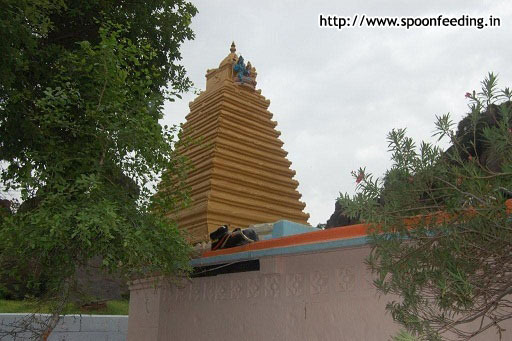 Bhadrakali Temple in warangal, Andhra Pradesh is known to be one of the temple for Goddess Bhadrakali in India. This temple is located on the banks of the Bhadrakali lake is a pleasing location between Hanamkonda and Warangal about 1.5 km from Government Polytechnic. AS per the inscriptions on the temple wall this is believed to be constructed by the King Pulakesi II of Chalukya dynasty around 625 AD to honor his victory over the Vengi region of Andhra Desam. The structure of the temple is in square shape with stone image of goddess Bhadarakali with a fierce look in her eyes and on her face. The statue Lion (Vahana) positioned on the opposite to the sanctum sanctorum. This temple also hoses “Dhwajastambam” and “Balipeetam”, Lord shiva in the manifestation of veerabhadra swamy, subramanya swamy, Lord Hanuman, and Navagras all carved in stone. The most interesting point here to note is that a artificial lake around 2.5 km radius with in the vicinity of the temple. Various natural rock formation believed to have spiritual powers adds significant importance to the temple. Number of natural rock formations in the surroundings adds to the spiritual charm of the temple. Although the presiding deity is called Bhadrakali, it is believed that with the help of manthras alters to an unsual form called “Tripura Sundari” which means “beautiful (goddess) of three cities”. In precise Tri (three), pura (cities) and Sundhari (Beautiful). The Godess can be seen in a sitting posture wearing crown and having eight hands holding various weapons. Tripura Sundari is regarded as supreme manifestation of “Prakriti” the famine power the vital energy of the universe. People who tend to visit Bhadrakali Temple also visit Hanamkonda Fort which is just a kilometer away from another well known thousand pillared temple. 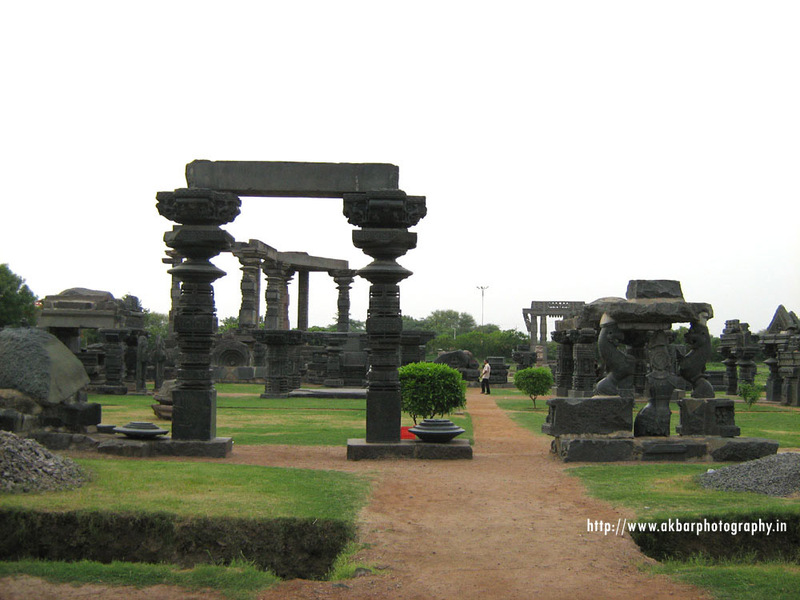 Kakatiya musical garden is the majestic place situated in Warangal, located near the famous Bhadrakali temple. The garden is spread over sprawling 15 acres area which s one of the main tourist attractions. The mesmerizing musical fountain with eye catching illuminated lights at night which makes the garden more attractive. The fountain which is operated based on latest technology using computers. The artificial waterfall which made using a huge rock at the back drop of the garden is the main attraction. There is an artificial lake with a 6 km radius to enjoy boating during the evenings. The best time to enjoy the evening is by 7 pm when the musical fountain starts playing and a pleasant boating, with the cool breeze through the water surface. Apart from the tourist the local people come here to enjoy their weekends. 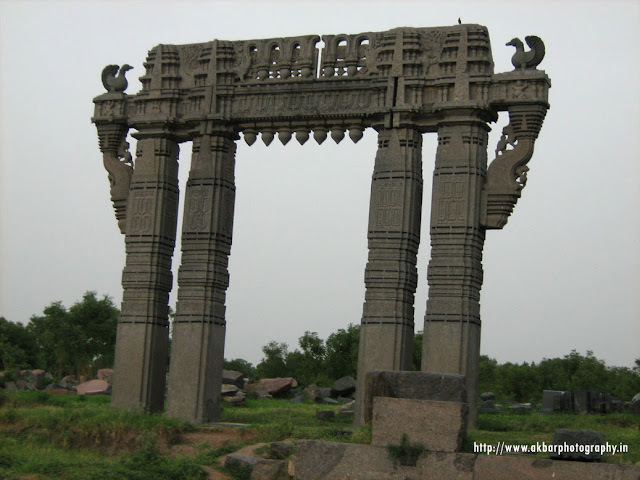 The Kakatiya rock garden is one of the famous tourist spots of Warangal, with various statues of animals like lions, deer, antelopes, and giraffe. Here all rocks and flowering plants are arranged in decorative pattern. Magnificently managed, this rock garden has artificial water falls as a back drop. This rock garden is not only relaxing place for tourist but also for the locals. You can see various flowering plants like rose, lily and various trees which gives shadows and coolness. This garden offers various lawns with abundant beautiful flowers that makes even more attractive tourist attraction. The local people enjoy the morning walk here. With this we can presume this is a fantastic place for nature lovers to feel the beauty of the nature in the morning and evening. The rock garden is famous for lively stone statues of different animals that makes more special among children. Apart from this the children will come to play here because of the play ground near the garden. 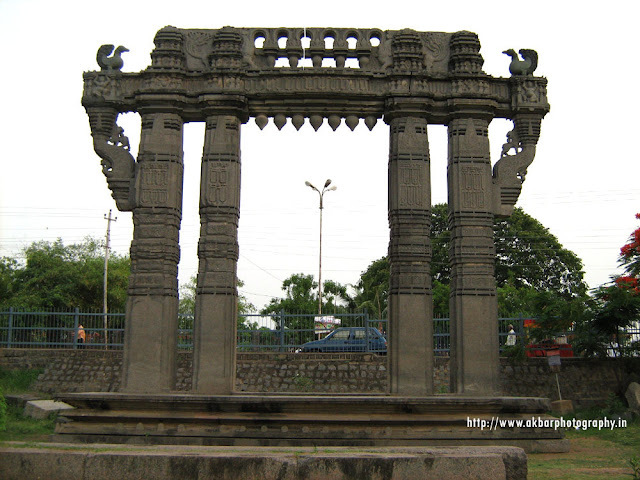 Govindaraula Gutta is about 130 Km frm Govindarajula Gutta has an historical importance. It’s a holy place for Hindus in India. The name has been derived from the telugu word “gutta”. Govindarajulu gutta is a small village surrounded by greenery all over and the hilly terrains gives credit to the temple and its presiding deity Lord Vishnu. Although there are many Vishnu temple, people has faith that that this particular deity has superficial powers to bless the believers. There will be special Aarathi followed with handful of delicious prasadam. Under the hill is a temple of his best devotee Lord Hanuman. In order to reach the temple one has to trek nearly 100 steps which has been neatly sculpted out of rock. The trekking is regarded as dangerous by some. 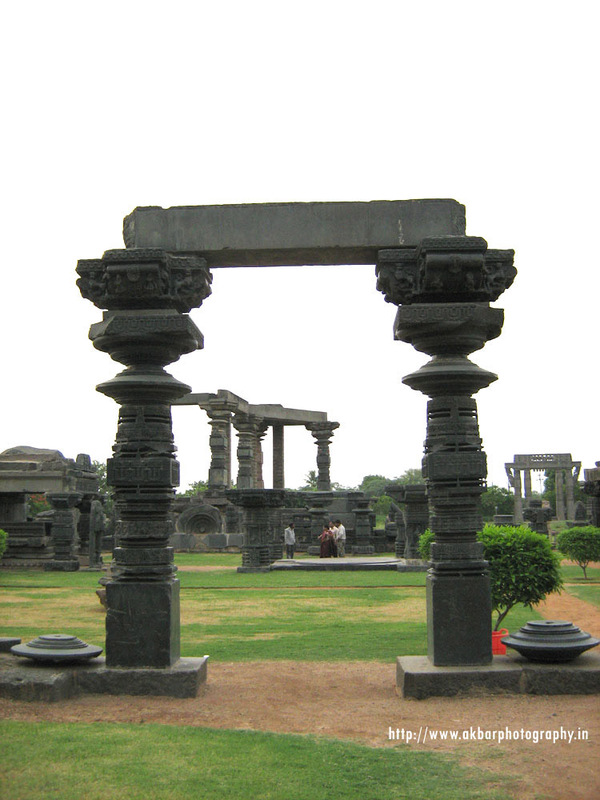 One can view the panoramic view of Warangal from the premises of this temple . Once a devotee enters the temple the calmness and power of god pulls him/her into deep spirituality. There is a ratham (Chariot) on the hill made of precious materials which is said to be made by the “Hazaris” from Warangal. Hazaris is one of the cast in Andhra Pradesh predominantly present in Warangal, Karimnagar, Hyderabad and Nizamabad. Hazaris regard Telugu as their mother tongue. The actually belong to class of warriors with links to all major ruling dynasties of South India, like Madurai Nayak, Chalukya, Chola, Kakatiya, and Vijayanagar. The have their cast title as Naidu , Rao. The first inscriptions about Hazaris can be dated between 11th and 13th Centuries during the reign of Kakatiya. Pembarti is about 120 Km from Hyderabad. Warangal has not only earned name for its great sculptor work, temples, garden, but it also earned a special importance for its brass work too. History says that people here used brass when they did not know much about iron. And Pebarti village in Warangal is known for its brass work across the country. And it has obtained a special importance in Tourist attractions. The tourist can go there to see the old age brass work. The people of this village are involved in making various kinds of brass work . The brass statues made by the people of Pembarti village is being exported to different countries. 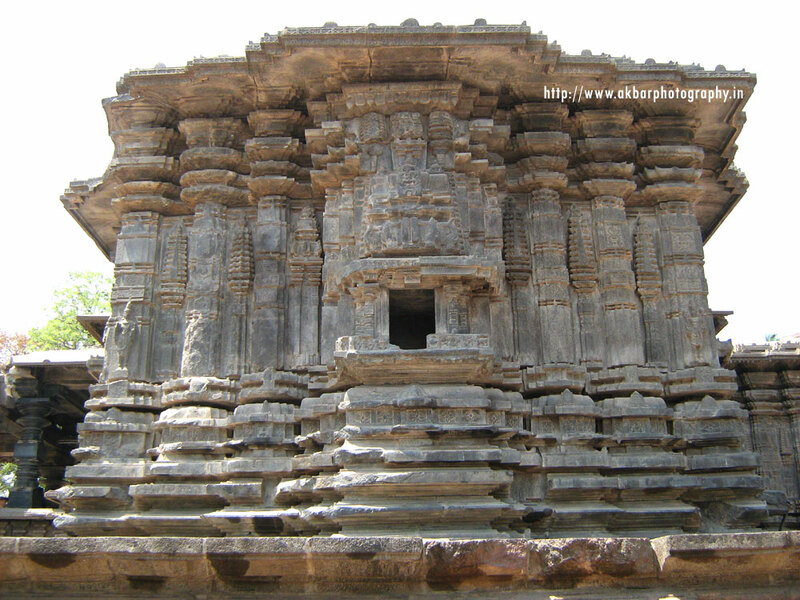 Siddeshwara Temple is an ancient temple dedicated to lord shiva. 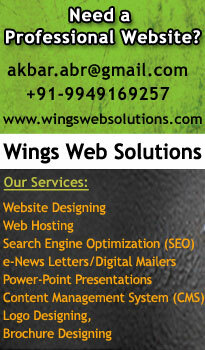 Located very close to Hanamkonda, Warangal. 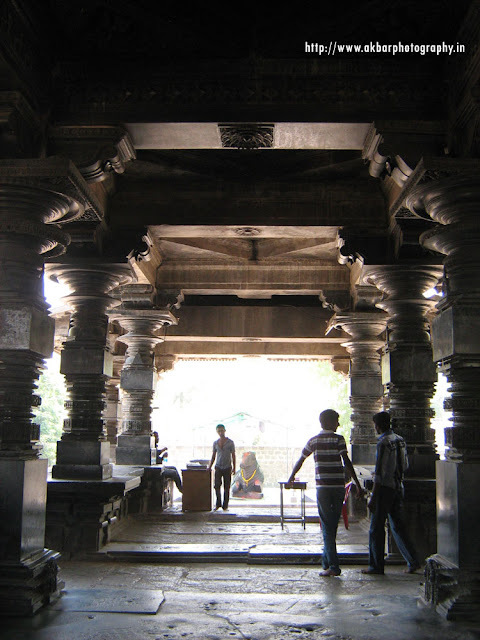 This is the 3rd century temple and it is one of the Paschimadwara Mukha Temple, means the entrance will be from West. With its marvelous architecture and in chalukyan style. 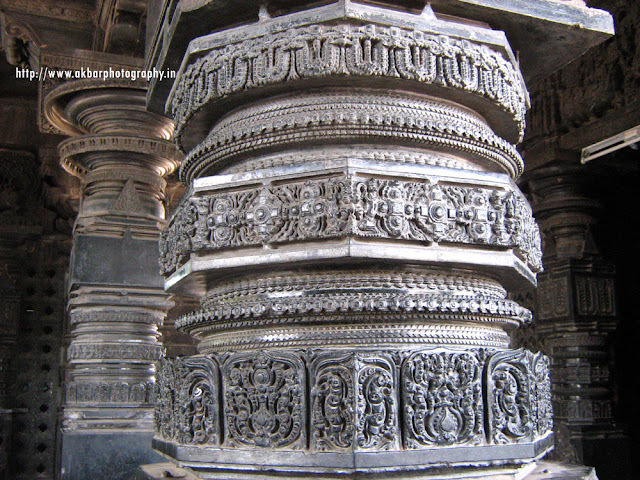 As a whole the temple is decorated with amazingly complexly curved pillars . This is one of the important shivaite temple in Warangal. The temple has a majestic look and the surroundings are peaceful and isolated. A larg e number of devotees visit this temple during the festival of Maha Shivratri. This is one of the ancient temple believed to be built in the first quarter of the 12th century. This is one of the beautiful temple with Godess Padmakshi as the presiding deity. The Godess Padmakshi fondly called as “Amma” by the local people. The meaning of “amma” in local telugu language is Mother. And she is considered as Mother of Mothers. That is the reason she is popularly known as “Padmakshamma”. 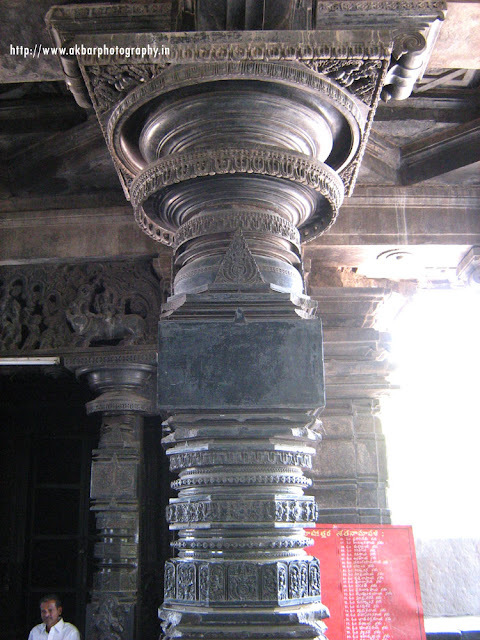 The entrance of the temple is marked with magnificent pillar known as “annakonda pillar” , a stunning quadrangular column made with granite black stone. The four faces of the pillar are a marvelous peace of art. 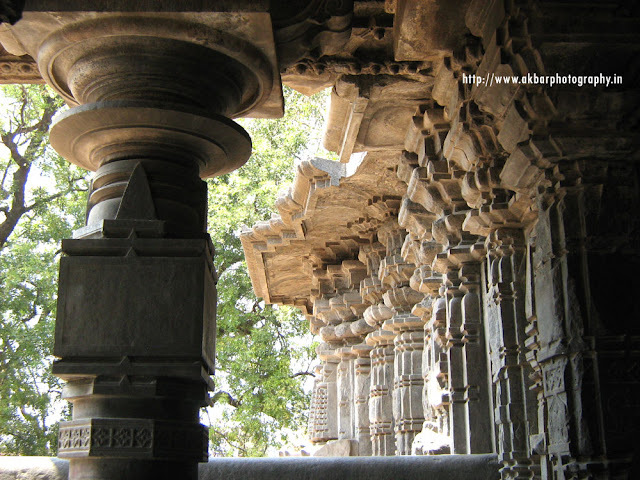 The place was originally a jain temple or Badasi. It can be known from the sculptures of the Thirthankaras (a spiritual person in jain is called as thirthankara) and other jain gods are found here. Now the temple is totally ignored and became inaccessible to the people because of the wild thorny bushes on the way . Only in the festival season of Bathukamma hundreds and thousands of women come from far of places the temple to celebrate the last ninth day festival in the honor of Godess Gauri. During the festival the earthen pots are decorated with sacred colors of red and yellow, and neatly decorated with flowers like merrigold. These pots are kept at one place and the women will sing forlk songs and dance around it. Towards the end of the day the flowers are immersed into the pond situated at the foot of the hill. Laknavaram lake is around 78 km from warangal and 6km from Govindaraopet. The green hills of Govindaraopet mandal lie side by side which forms a massive bowl shape structure which holds beautiful spacious untouched lake known as “Laknavaram Chervu” (lake). This was the discovery of the ancient rulers of Kakatiya . They spotted this lake amidst trees and hills lined up to hold the rain water . They then built a small gate turning the place into spacious lake which now fetches water to thousands of acres of agricultural land every year. Laknavaram Chervu (Lake) which spreads over an area of 10000 acres of which stores rain water. This lake consists of 13 islands amidst the lush green jungles. The Tourist department has constructed a suspension bridge connecting the 3 islands recently turning this place into major tourist attraction. Medaram is the village in Warangal . This is famous for the Festival called “Sammaka Saralamma Jatara” or Medram Jatara. The Jatara begins at Meraram at Tadvai mandal. It is celebrated in the honor of mother and daughter with the reigning rulers against the unjust law. It is believed that after the kumbha mela this attracts the large number of crowds through out the country. Many tribal devotees from different states of India like Madhya Pradesh, Chattisgargh, Orissa, Maharashtra, Karnataka and parts of Jarkhand and Utter Pradesh reach to the festive palace to celebrate the Jatara. The Sammakka Jatara is non-vedic and non-brahmin festival celebrated once in two years on a “magha shuda paurnami” on a very large scale for four days in the month of January-Febraury. In the last day of the festival devotees believe that the goddess Sammakka and Sarakka will do the “vanaprasthanam” (going back to forest again). The surprising point here is that they don’t have permanent idol for worship. People offer bangaram/gold (Jaggery) of a quantity equal to their weight to the goddesses and take holy bath in Jampanna Vagu (stream). According to the tribal story the tribal went to the deep forest for hunting. There they saw tigers and lions safe guarding a female child. The tribal elders (Koya doralu) brought the child to the village. The presence of this child brought lot of prosperity and happiness in the village. The tribal elders felt that the tribal god kondadevara came to the as a child And in a ritual they named her as Sammakka. As the time passed smakka rowed over tigers and lions and gave wishes to child bearing couples. She cured many persons from chronic diseases. She was married to Pagididda Raju the ruler of the Medaram Village, The couple was very happy and the people started praising their relation. They were blessed with the son Jampanna and two daughters Saralamma and Nagulamma. Pagididda Raju being subordinate to Kakatiya Dynasty started rulling Medaram village. Severe Famine occurred for four years and the people were not in a situation to pay their taxes. So Pagadidda Raju refuse to pay the tax to the Kakatiya Emperor due to which they have to face the warth of the Kakatiya emperor and war was waged on them. The tribal warriors to save their self respect decided to face the war. The tribal warriors were not afraid of the enemy forces. The faced the enemies with courage in this war thousands of heads were chopped and a blood flowed like rivers and mixed u with Sampenga Vagu. The water became contaminated wit blood. In this war the skilled tribal warriors got killed by the kakatiya strength. In this sacred war Pagididda Raju, son-in-law Govindaraju laid their lives. Jampanna (son of Sammaka) having self-resplect ashamed and sacrificed himself by jumping into the “sampenga vagu” hence it is called Jampanna Vagu. Sammakka did not gave up the courage after hearing the news of her hudand and son-in-law laying their lives. Having the breast plate (daalu) and sword she attacked the enemy forces. With her divine powers she terrorized the enemies on the battle ground. The Kakatiya army surprised by the divine combat of Sammakka, but all of a sudden a small boy came behind and back stroked Sammakka. Sammakka was turned behind and raised her sword to kill the back stroker and when she realized that it was a little boy she stops and leaves the child. Sammakka tied the would with cloth and fled away on horse from battle field thinking “if her blood spills on the ground it becomes barren land”. She fled away towards east of the Medaram villag and disappeared. The tribals searched for Sammakka and found a “kumkuma barinay” at a snake hole near naga vruksham (tree). They feel that their goddess found as “Kumkuma bariynay”. Once in two years on the day of “Magha shuda paurnami” . The tribals got the tree cut to pake it as a platform for “Samakka”. People belive that Goddess Sammakka, Saralamma fulful their desire with their divine and miraculous powers. Sammakka saralamma jathra is held in the forest of the Medaram village. Installed on the earthen platform raised under a tree. The special offering to the diety is jaggery, which collects in huge piles. Those who’s wishes are fulfilled they vow to offer jaggery equal to their weight. The jaggery is distributed as Prasad. People believe that he the goddess Sammakka, Saralamma fulfill their desires with their divine and miraculous powers. The issueless couples visit and pray to god to bless them with children. On the last day of the puja the devotees believe that the Goddess “Sammakka and Sarakka” will return back to the forest. With this the famous Medaram Jatra comes to an end, and the devotees take a holy dip in Jampanna Vagu (stream).